The Capri Abalone Chandelier is handcrafted with hundreds of real abalone iridescent seashells that glisten magnificently around a gold frame. 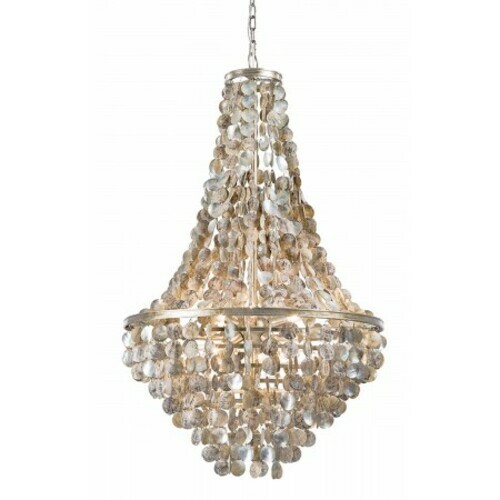 The perfect coastal chandelier for a foyer, staircase, above the dining table or your high ceiling living room. The neutral translucent colors capture and reflect light and enlivening a room with the allure of the sea. Takes six 40 watt bulbs (not included) with 6' chain and cord.